My daughter loves to help cook. If she even hears me clanging pots and pans in the kitchen, she comes running in and begs to help make something. So far, her skills in the kitchen have been limited to baking. I’m excited to get her into cooking other items, too. Last week, we received this cute Cubs in the Kitchen cook book in the mail. It’s been the perfect introduction to simple cooking ideas for her. The first thing we made? These adorable Mini Pizzas! A special thanks to Family Christian Stores for sending us this book to try out and for sponsoring the $25 Appreciation Certificate giveaway! 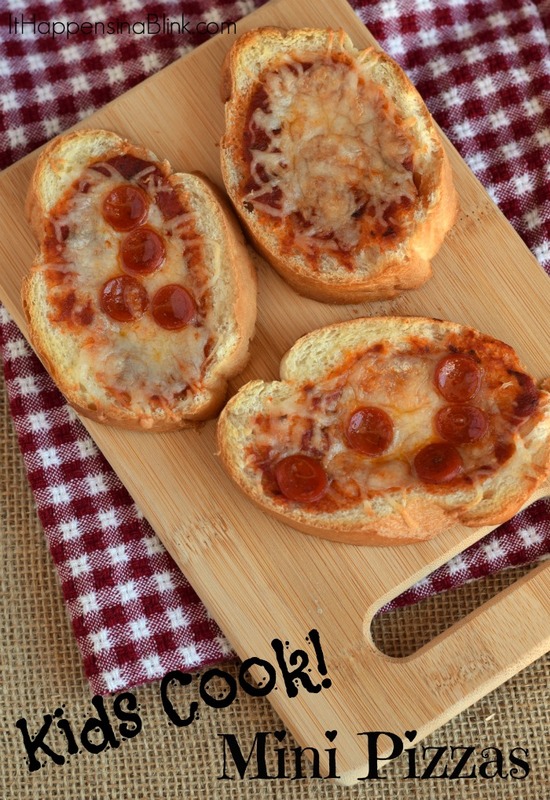 As far as cooking goes, these Mini Pizzas are as easy as they come! After pre-heating the oven to 350 degrees, adults should cut the French bread into slices. 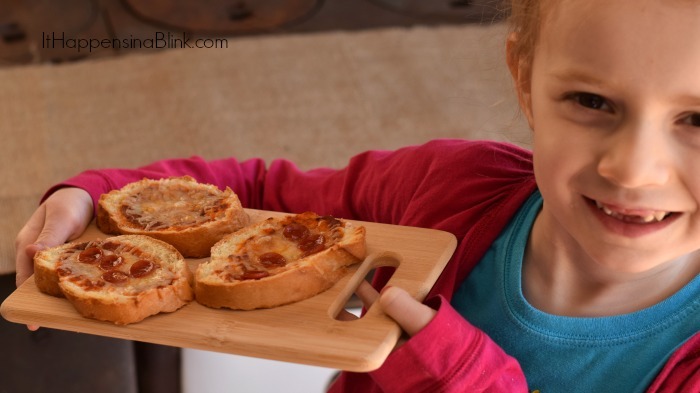 According to the age of the child, they can then use a butter knife to apply butter on the bread, and then top the slices with pizza sauce, cheese, mini pepperonis, and whatever other toppings your little one enjoys. 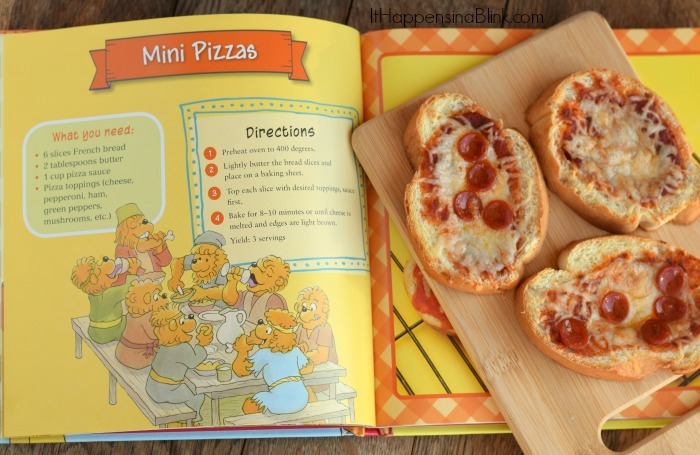 And who is more fun to demonstrate simple recipes other than The Berenstein Bears? 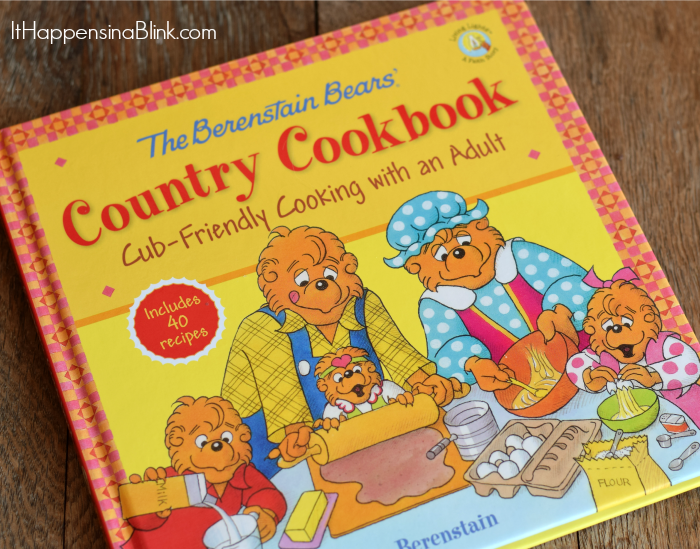 The book is full of cute Berenstein Bear stories and is complete with 40 recipe ideas for snacks, meals, desserts, and more. My daughter was very proud of her first creation. She made even made enough to share with her brothers. Want a chance to win a $25 Family Christian Appreciation Certificate so maybe you can buy the book for yourself (or whatever else you want!)? I have a giveaway for you below! The giveaway is open to US residents and will be fulfilled by Family Christian Stores. This giveaway is in no way affiliated with Facebook, Twitter, Pinterest, or Instagram. Use the below Rafflecopter form to enter to win. I would buy cards. I love to try to encourage people. To let them know that someone loves them and is praying for them. I would love to buy some new music! Thanks! I’d like to get this doll: Springfield Collection Pre-Stuffed Doll 18″-Emma/Brunette Hair, Brown Eyes. Oh how do I choose? I’m pretty sure that Family Christian is my absolute favorite store! Their amazing sales really help to stretch every dollar. I can find wonderful gifts for everyone, and a little something for me! I would get some devotionals. I’ve had my eye on a few things. First thing I would get is the new WOW Party Dance Mix CD that came out a few days ago. Love the new remixes on it! Cub family cooking! That sounds like so much fun! I have to try it out! I would love to buy a Journaling Bible. A friend of mine was gifted one when her mother passed away, just after Thanksgiving. She journals the most beautiful things in it and I know it will be a treasure to her boys some day. I would love to create something like that for my boys to look at and see how I have prayed for them. I would like to buy a new devotional book. I would like to buy a bible cover from Family Christian. I would love to use this to buy my kiddo’s some Easter goodies! They have so many great things, I know it won’t be hard to find! I like the Willow Tree: Abundance figure. I would like to buy a wall hanging for our home. Like to pick the girls up some books. I would buy a new larger print bible for my Mom for Mothers Day! I would love to buy a new cd, like Jeremy’s Camp new cd.